America has deep Irish roots, and one way those roots come alive is through our music. 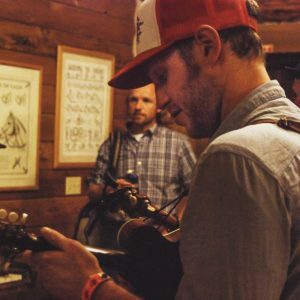 That uniquely American sound of Bluegrass has more than a touch of Irish in it. This connection is the theme of a new music festival that’s being held in Parkfield California on – you guessed it – St Patrick’s day. Parkfield is that tiny town located in the coast mountains Between highway 101 and Interstate 5, east of Paso Robles. It’s the home of the V6 ranch and the annual Bluegrass Festival, held on Mother’s Day every year. It’s one of my favorite places in the world, just a wide spot in the road but with a fine restaurant and a lodge, and lots of camping spots. These musical workshops can be enjoyed by both musicians and non-musicians. Learn from players from both Ireland and America as they cover traditional instruments, techniques, traditional styles, collaborations, and more. The Irish party – called a Feile – is a celebration of the cultural ties between Ireland and America. The main focus of the festival will be on Irish traditional and American old time music and their close relationship, explored through live collaborations. It will also feature storytelling, poetry, workshops, horseback rides, and more. 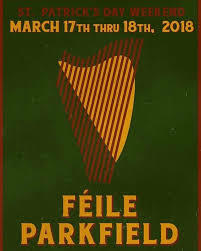 The Feile is a two day event – come for a day or for the whole weekend. A weekend pass includes RV or tent camping on Friday and Saturday night. Kids 12 and under are free. It’s going to be a great celebration, and we’re looking forward to the event. See you there! For more information, visit their web page at www.feileparkfield.com – that’s spelled F E I L E parkfield dot com. I’m Len Wilcox and that’s the Western View from AgNet West and Citrus Industry magazine.